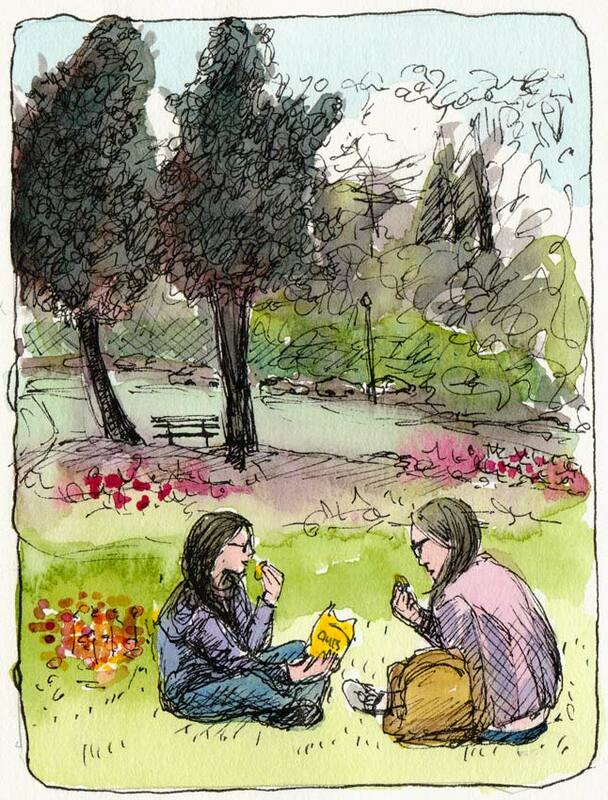 Putting Up the Xmas Lights by the Park, Ink & watercolor, 7x5"
It was such a beautiful sunny day (our drought continues) I decided to go for a walk and find a spot to paint outdoors instead of in the studio. I walked the mile to Peet’s Coffee and then, with a cup of their dark, rich (decaf) coffee in hand, I turned towards home, still looking for inspiration. 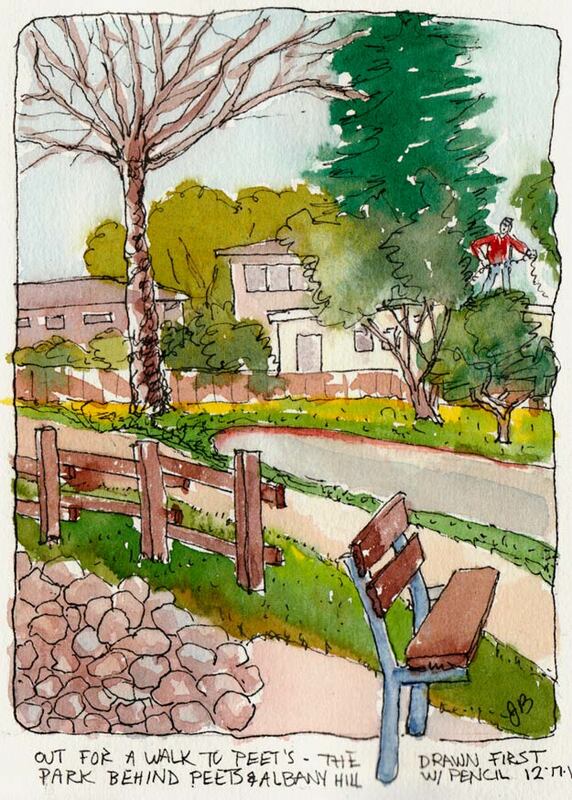 I passed the little urban creek behind Peet’s, and considered sketching it but it was shaded by trees and very chilly. As I walked by the little pocket park alongside Albany Hill, this little cul-de-sac called out, “Paint Me!” With a handy picnic table right there to lay out my paints, how could I resist? Although I usually sketch directly in pen, this scene was so complicated I decided to draw in pencil first. As I was completing the drawing I spotted a guy on his roof with a string of holiday lights. Do you see him? I know it looks like he’s standing on top of a tree but the roof of his house is just behind the tree. I think I made him a bit of a giant! On the next test run of my new Schmincke palette that Roz introduced here, I painted some roses on a tablecloth in the sun on the deck. 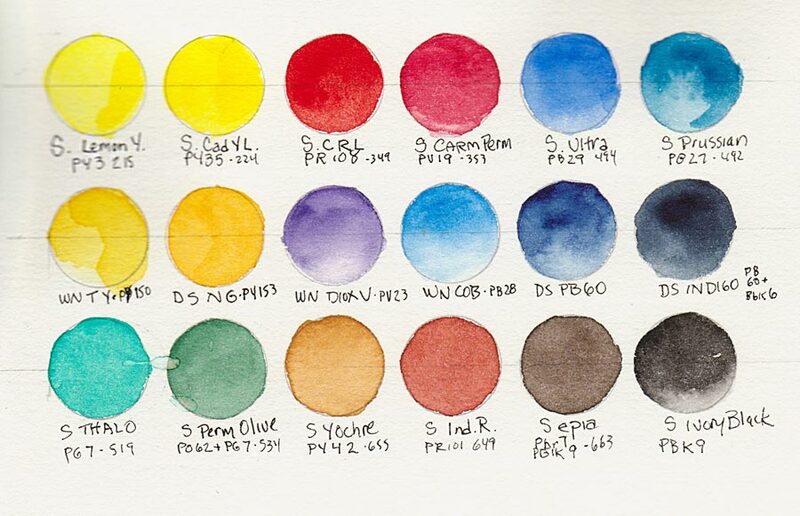 While the Schmincke pan paint is lovely to use, and the palette a good size and design, the colors frustrated me. Their version of rose called Permanent Carmine (PV19) is much redder than the Winsor Newton (PV19) Permanent Rose I rely on for pinks and several other colors didn’t appeal to me. In the color chart below, the top and bottom rows are the original Schmincke colors that came with the set. I added the colors in the center row by filling empty half-pans from tube paint in the space designed for adding extra pans. (Apologies for posting twice–forgot to include all three images the first time). 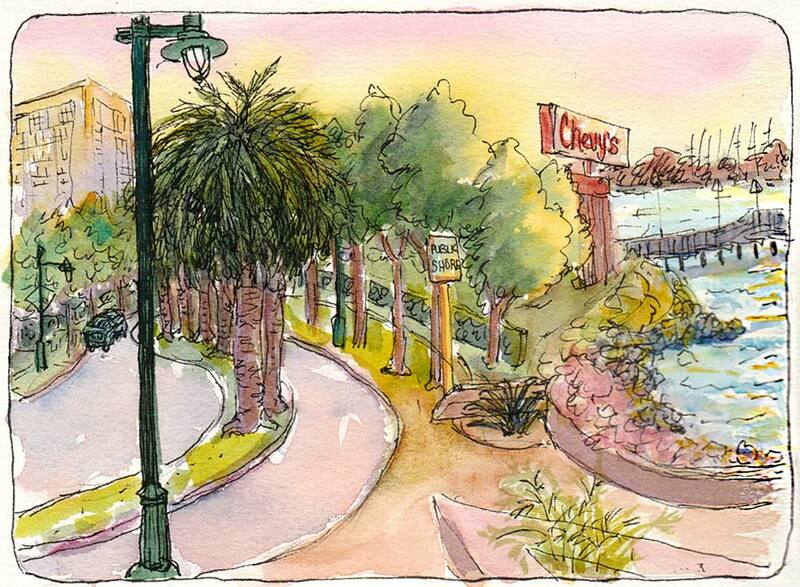 I noticed this palm tree-lined street when I was exiting Highway 80 in Emeryville and suggested it as a place for our Urban Sketchers group to meet. 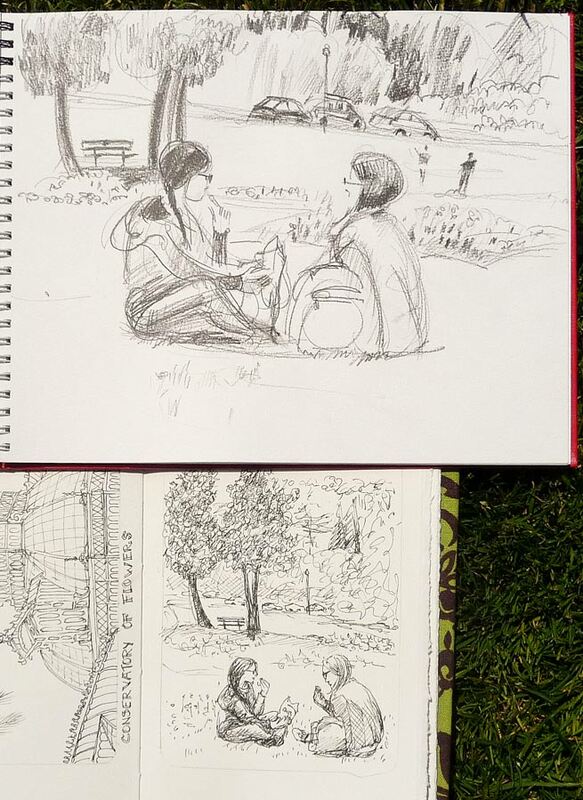 I guess the directions I provided to the spot weren’t very good because everyone else went down to the end of the marina and I sketched alone all evening. I knew we’d meet at Chevy’s Mexican Restaurant at 8:30 so I wasn’t worried. 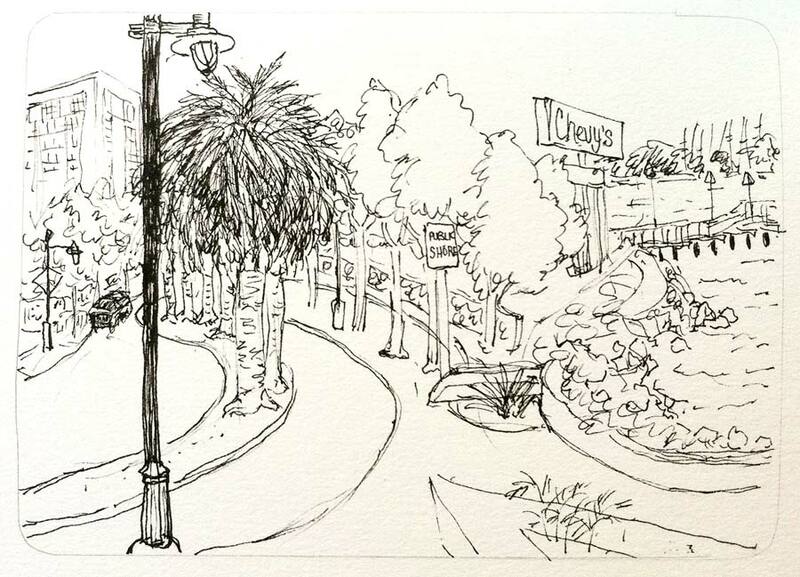 This was one of those really fun drawings where I started by deciding what I most wanted to fit on the page (the lamp post, palm trees, Chevy’s sign and water). 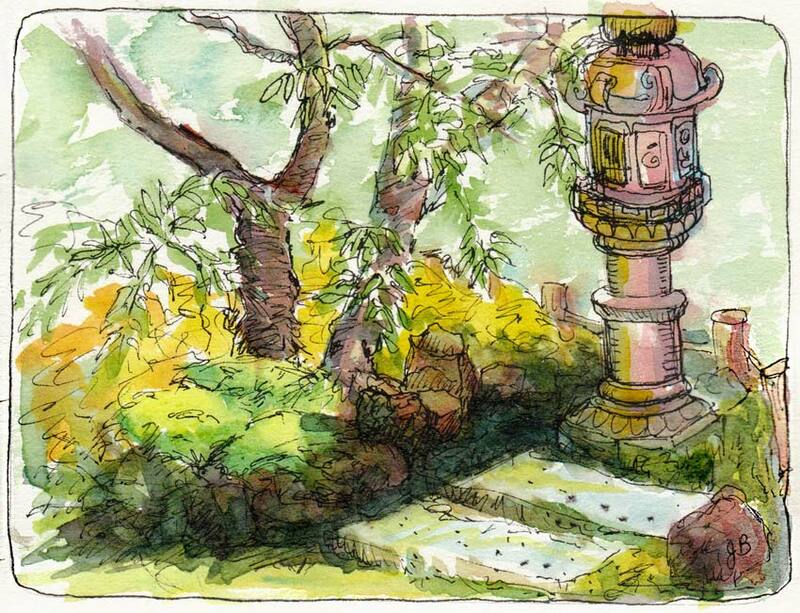 I started with the lamp post because I could use it to figure out where other things lined up to it. And then I just kept seeing and drawing more and more until it was all in there. I painted the sketch just as the sunset was at its brightest and everything looked so pretty, pink and yellow. 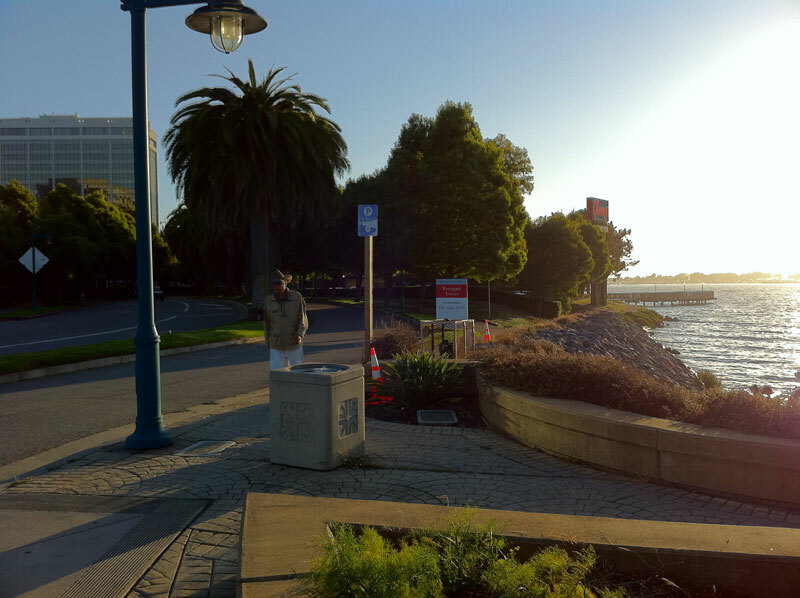 It’s such a lovely spot, and yet so urban, within a couple blocks of two major freeways and the entrance to the Bay Bridge. 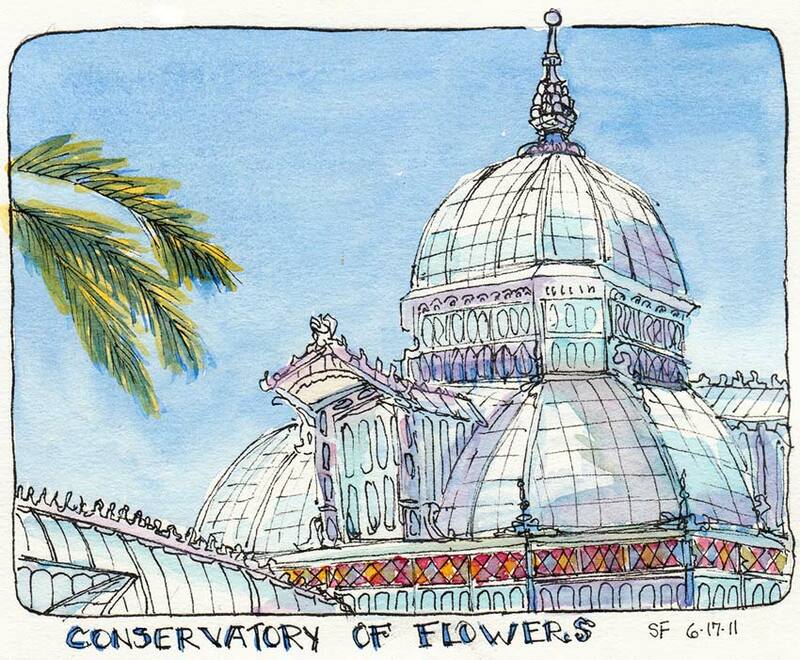 You can see Cathy’s sketches of the bay bridge and the freeway on our Urban Sketchers Bay Area blog. 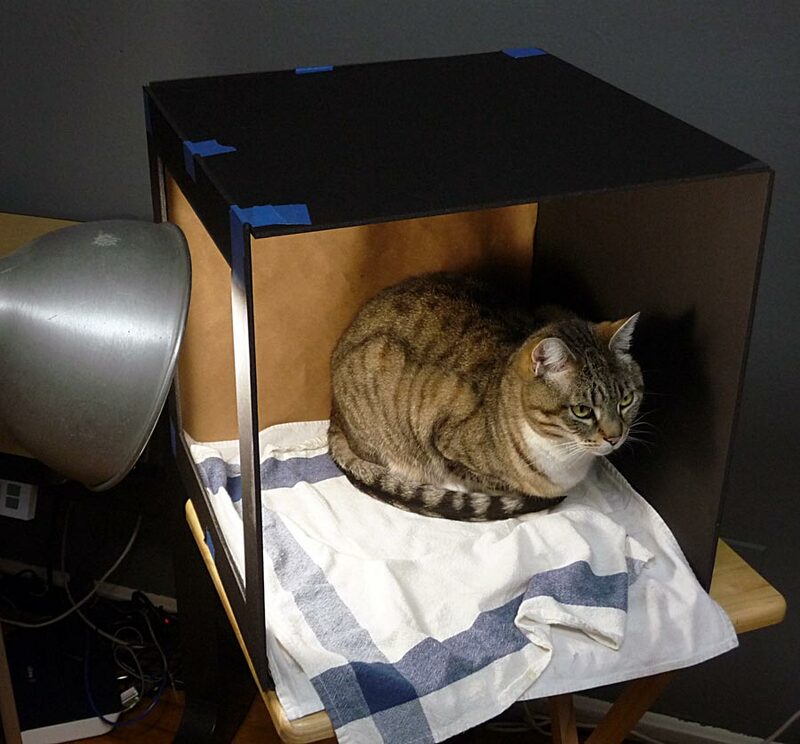 When my tabby cat Busby Berkeley decided to sit in my still life light box and pose, I decided to paint him. After all, what’s more of a still life than a cat (except when they’re running through the house and pouncing on wrinkles in the covers when you’re trying to sleep)? 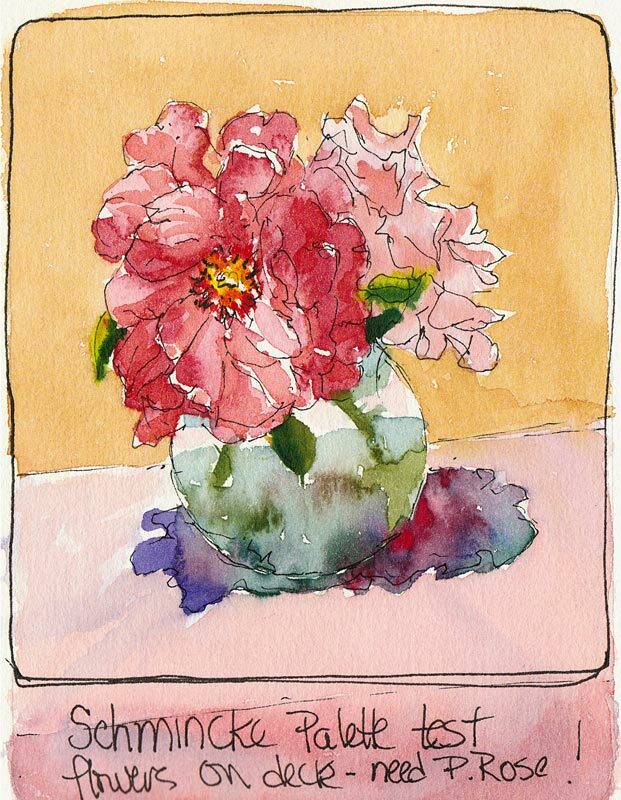 I painted from the photo below, displayed on my monitor near my easel. Busby spends most of the day sleeping in the closet, my bureau, or a kitchen cabinet so painting him from life wasn’t an option. Even drawing him from life is tough. In the same way cats chose to sit on the one person who doesn’t like cats, they also get up and leave if they notice you watching them. 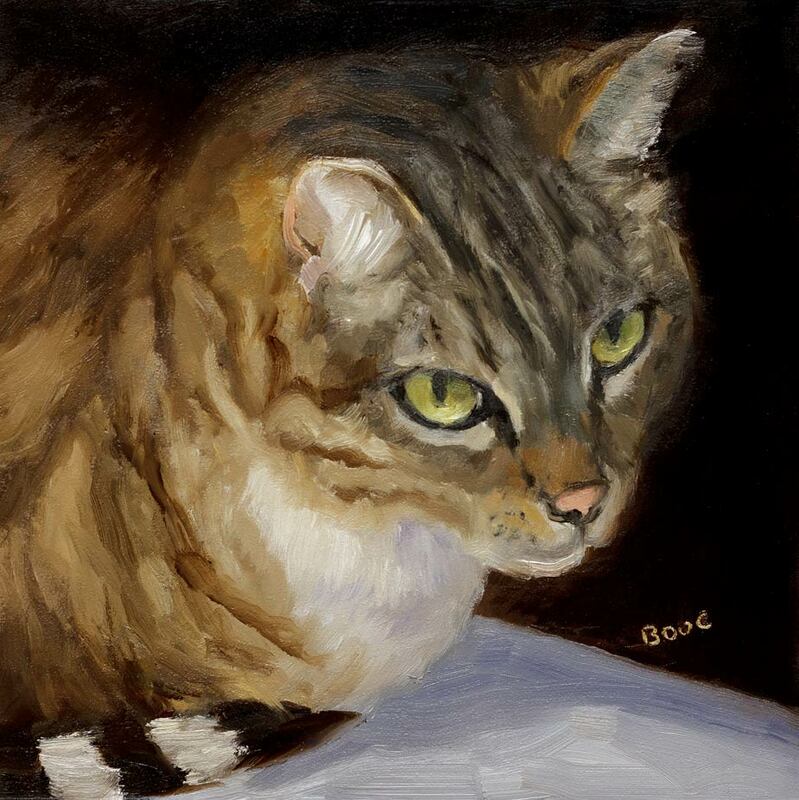 This was the first time I’d painted a cat in oils and it was fun and challenging. I’m about to try another from a different Busby photo to see if what I learned the first time will make it easer the second time. This painting is available here on my Daily Paintworks page where I am in the process of placing selected paintings from the past along with current work as I paint it, when/if I’m ready to let it go. 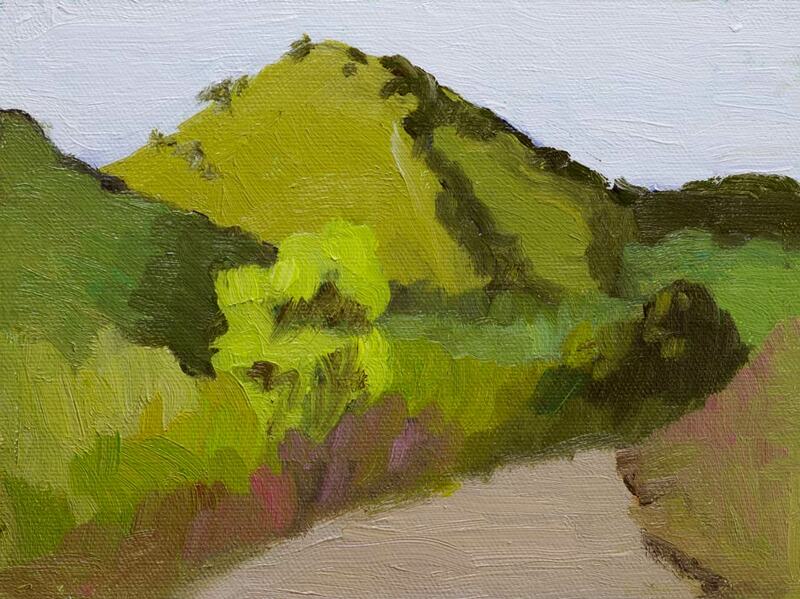 Tormey View, Oil on board, 9x12"
It’s nice to remember those sunny summer and fall days when painting outdoors required sunscreen, not rain gear. 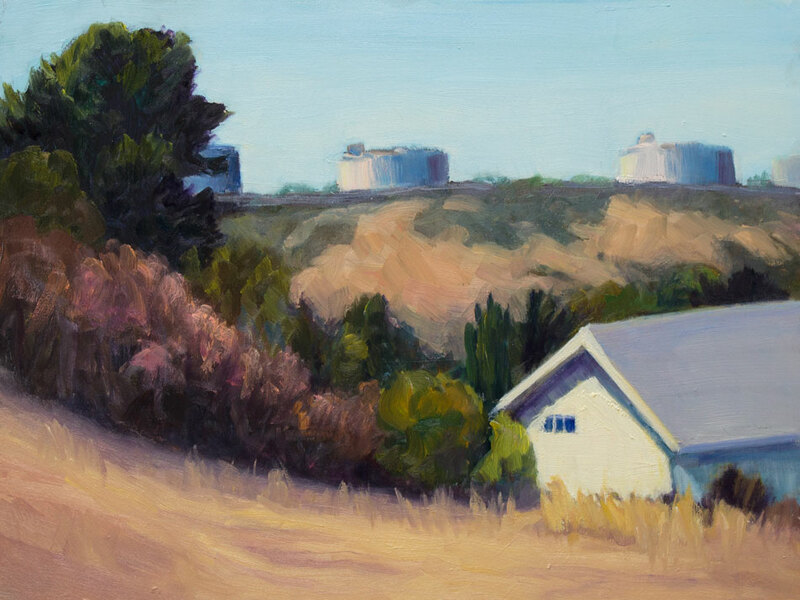 Back in October I painted this view from the former refinery “company town” of Tormey. 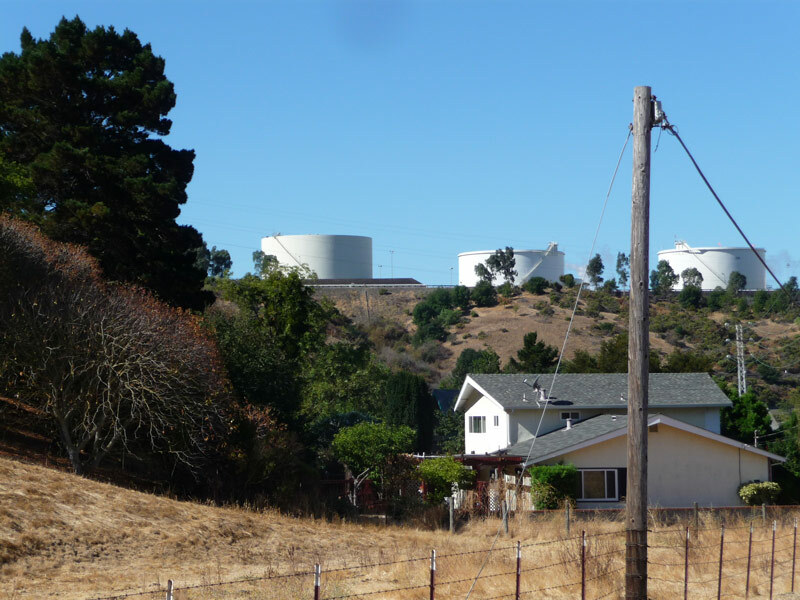 Now Tormey is just a couple blocks long on the edge of the Tosco Oil Refinery near Crockett. At the end of the main (only?) street is a small paddock with horses and goats. 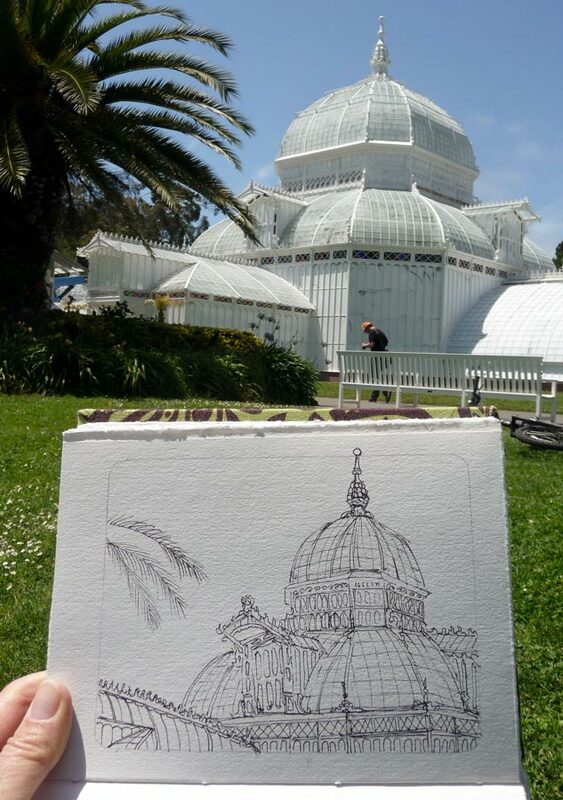 It was a fun place to paint. Now it’s another rainy Sunday here in the San Francisco Bay Area, but after a great walk in the hills between showers, I’m happy to be in the studio working on several paintings in progress.